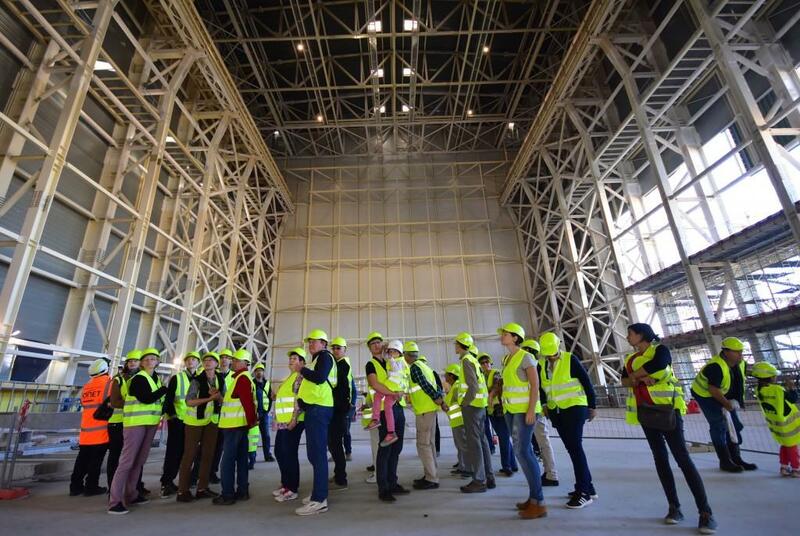 The visit of the gigantic ITER Assembly Building, elegantly reflecting the bright blue sky from its prominent position on the construction platform, was the highlight of the most recent ITER Open Doors Day held on Saturday 8 October. Looking up, down, right left... there's so much to take in when standing on the edge of the Tomamak Complex' worksite. For the first time since the double overhead bridge crane was installed, visitors were able to step inside this 60-metre-tall structure for a closer look at the antechamber of the Tokamak Building, where some of the largest machine components will be pre-assembled before being transferred to the assembly arena. 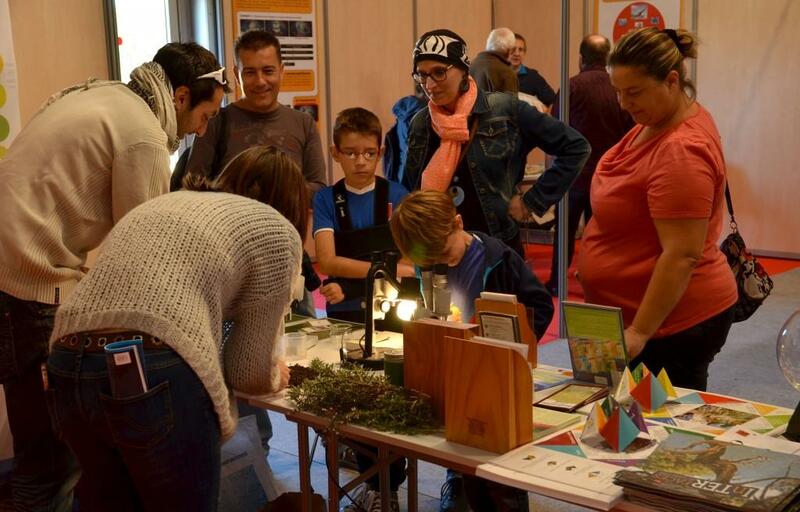 This year's Open Doors Day was part of the Fête de la Science, a yearly national festival in France organized to promote science to the general public. 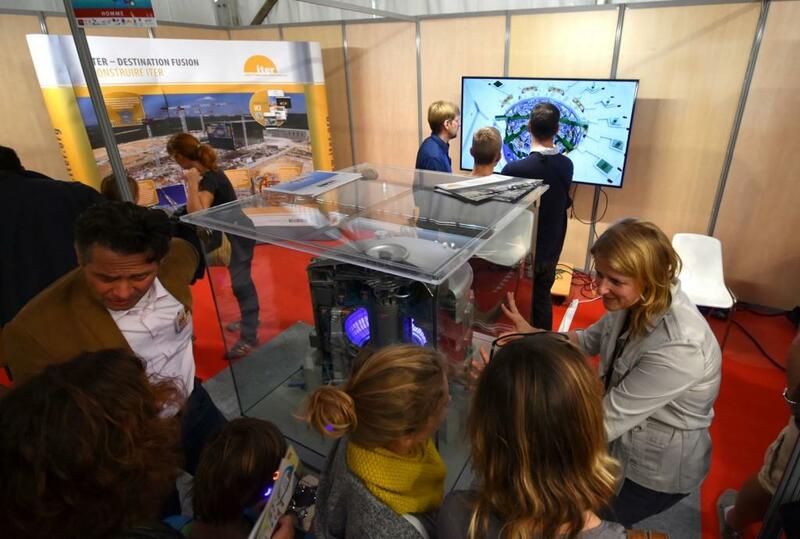 The French Alternative Energies and Atomic Energy Commission (CEA) hosted this event at the nearby Château de Cadarache where a large exhibition area had been created. Under the banner of "Village of Science," the event brought together over 40 companies and organizations from all over the region to showcase scientific and technological progress on the theme: "The planet, the climate, man and energy." 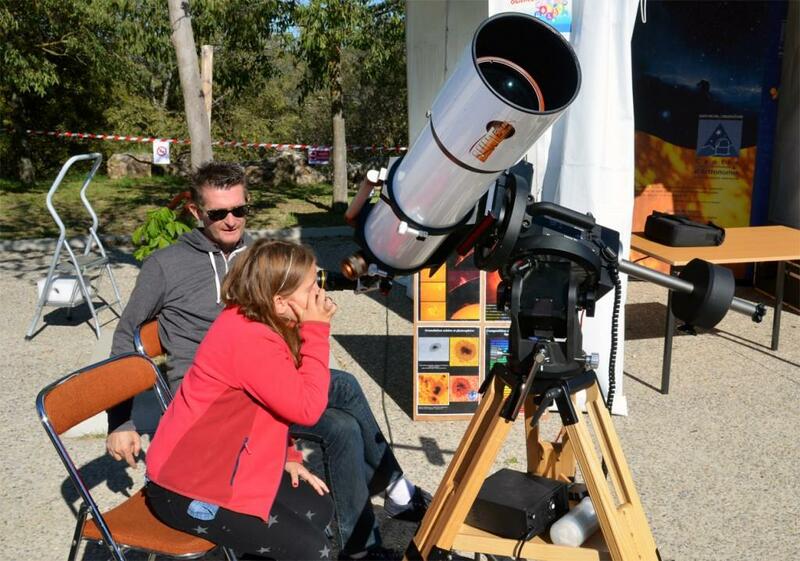 Many of the stands offered small-scale experimentation and do-it-yourself gadgets to get the visitors to participate, touch, and walk away with an increased understanding of some basic scientific principles. 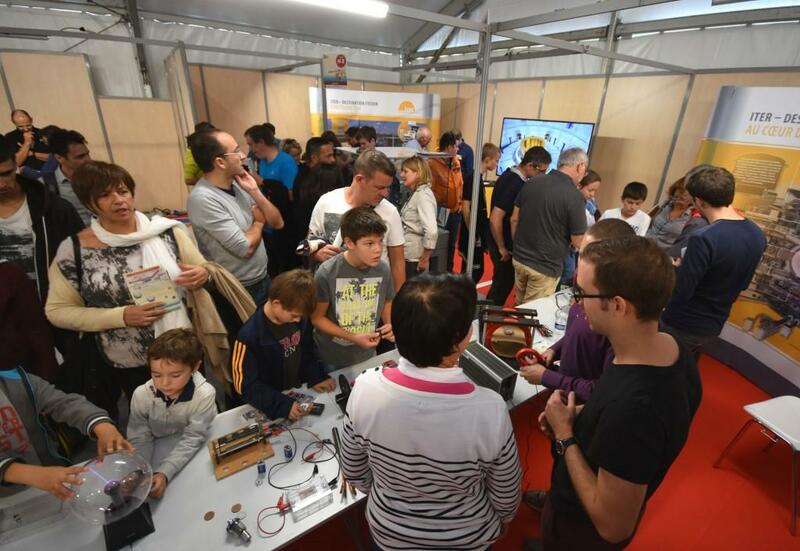 The ITER stand, with its mockup of the Tokamak and multiple videos telling the ITER story, attracted an endless stream of visitors who could ask questions to the many guides who had volunteered for the event. 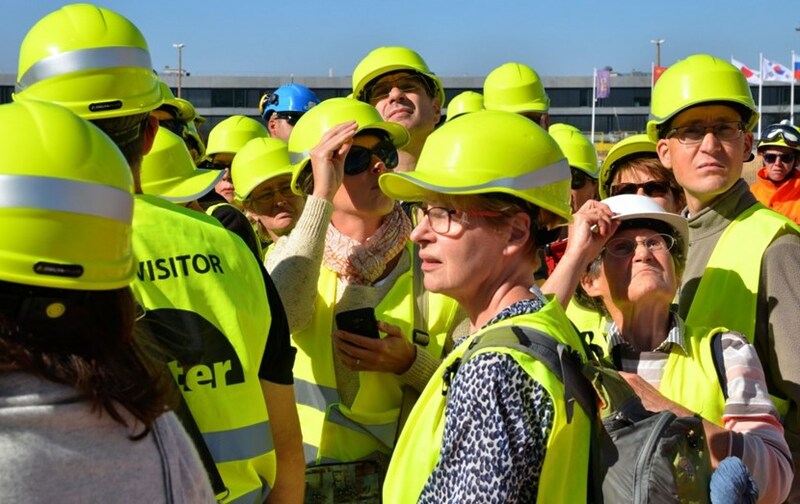 The Château was also the starting point for the ITER site tours, with buses taking visitors (some 600 in all) onto the platform every half hour to see the status of construction works. A first stop near the future home of the Tokamak was followed by the visit of the Assembly Building—while in between the two visitors were guided by bus around the many different construction projects underway on the site. Among the most advanced is the site of the ITER cryoplant, where 50 columns are now in place. Posters, video animation, mockups ... and the volunteers from ITER and CEA who are communicating their enthusiasm. The exhibition corner on fusion attracted a crowd on Saturday afternoon. Visitors of all ages visit the 60-metre high Assembly Hall, where tooling will be installed for the pre-assembly of components. The ITER Tokamak mockup provokes questions. What is this machine? Has it been built yet? How will it work? 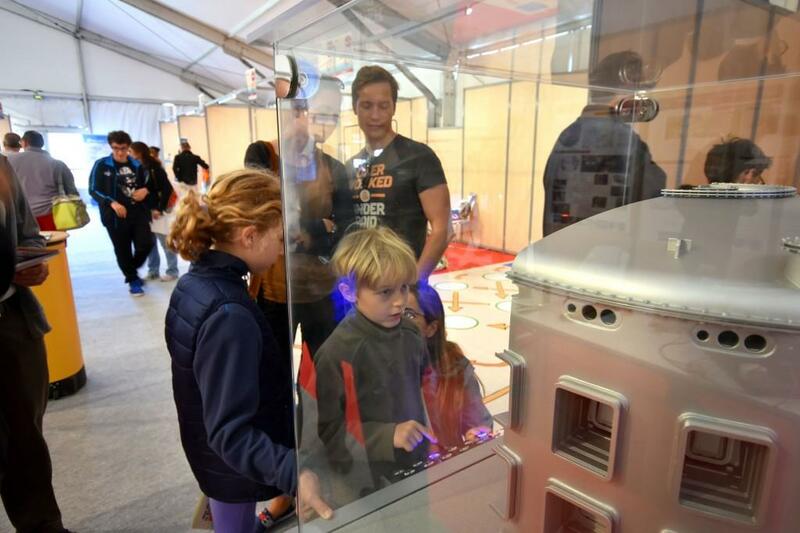 Push a button and the plasma lights up ─ for the younger generation, the ITER mockup is even more fun than an arcade game. The ITER scientific installation is going up in a privileged natural environment. It's one of the missions of Agence Iter France to protect and promote the site's biodiversity. Another large fusion furnace was on display at this weekend's Science Fair at the Château de Cadarache. One could even observe our Sun's spectacular solar flares, the stellar equivalent of Edge Localized Modes (ELMs) in a fusion plasma.